This is the first post in what will be a series on the process of dealing with domestic violence charges in Peoria, Illinois. I am writing on this topic due to the fact that many accused of the offense do not know what it is they should expect from the process or how it is they should proceed after having been arrested. I hope that my coming posts provide useful information to those who find themselves in such a situation. I cannot stress enough the fact that you should contact a criminal defense attorney immediately if you find yourself having been charged with domestic assault. These are important topics for several reasons. First, knowing what to expect from the process of a case will allow an accused to go about their day to day life with less anxiety than they would otherwise. 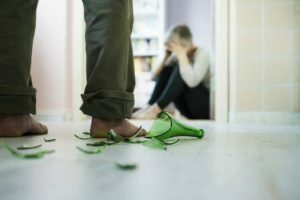 Second, it is important to understand that domestic violence charges, probably more often than any other type of criminal case, are sometimes the result of false allegations. Third, pretrial Motions are an important tool for keeping incriminating statements out of Court. Fourth, while you may wish to defend against the charges there may be instances in which accepting a plea offer is in your best interest. Fifth, knowing what to expect from the trial process is crucial to defending the case. Finally, it is important to know how a conviction could impact your liberty and your future rights. It is important to immediately contact a lawyer if you have been arrested and charged. Many make the mistake of thinking that a domestic violence arrest is “no big deal” and that the situation is simply a “private matter” between the man and woman. The truth of the matter, however, is that such charges are very serious. Once law enforcement becomes involved then whether or not a case will proceed is not a choice for the parties to make; Illinois or local prosecutors may proceed with charges even if the victim does not wish for them to do so. This is just one reason why many residents of our area can be surprised to find out the gravity of their situation. Contact my office today to speak with a Peoria domestic violence defense attorney. I handle both misdemeanor and felony matters. In addition to Peoria, I service the cities of Bloomington, Decatur, Eureka, Galesburg, Morton, Normal, Pekin, Springfield, and Washington. We also serve the counties of Fulton, Knox, LaSalle, Marshall, Mason, McLean, Putnam, Rock Island, Schuyler, Stark, Tazewell, and Woodford. Additional areas where we handle federal cases include Benton, Chicago, East St. Louis, Springfield, and Urbana.